Zoe has been complaining more and more about the paltry 20 minutes of recess she is granted at school every day. I suggested she write a letter to the superintendent and the school board and her principal expressing her concern about the lack of outdoor time and her desire for change. I shared with her some facts about how outdoor time benefits kids intellectually, emotionally, and of course physically, that I had learned in my own research for something I’m writing. I told her I would help with the mechanics of the letter but that the ideas and the words had to be hers. We brainstormed tonight–I asked her questions about how she felt before, during, and after recess and she wrote notes. Then she dictated the letter to me. I looked up the addresses for her and she wrote them on the envelopes. She’s very excited to send her letters off tomorrow. At bedtime she whispered, “Do you think they’ll actually change the amount of recess we have?” I said I didn’t know, but you never know until you ask. My name is Zoe Rosso and I’m a third grader at A******** Elementary. I really love my school. We have great teachers. I have tons of friends. My favorite subjects are math, reading, and science. I love almost everything about my school except that we only have 20 minutes of recess. If I don’t run every day my legs start to feel weird like I have to move around. I need more than 20 minutes to get enough exercise. I love to climb and hang upside down. Climbing exercises my brain and muscles and improves my strength. There are very few things that you can do outside that you can do inside. When I’m outside, I feel great. I feel like this because the outdoors never end. It’s just a big open space—a big field of fresh air and fun. Also before I go outside I can get bored, but when I come in after recess I am really into the subject. Being in fresh air helps me to focus in class. When I don’t go outside I start to get really tired of just sitting around. When you sit around it can make it much harder for you to think. Being outside helps me to relax and stop worrying about things. Being outside also makes me feel good because I get to run around and play with my friends and it doesn’t really matter how loud or quiet I am. Many of my friends are in different classes than me so at recess I get to see and play with them. I am also not allowed to run in the hall, but outside there is no hall. It would be wonderful if we could have more recess. 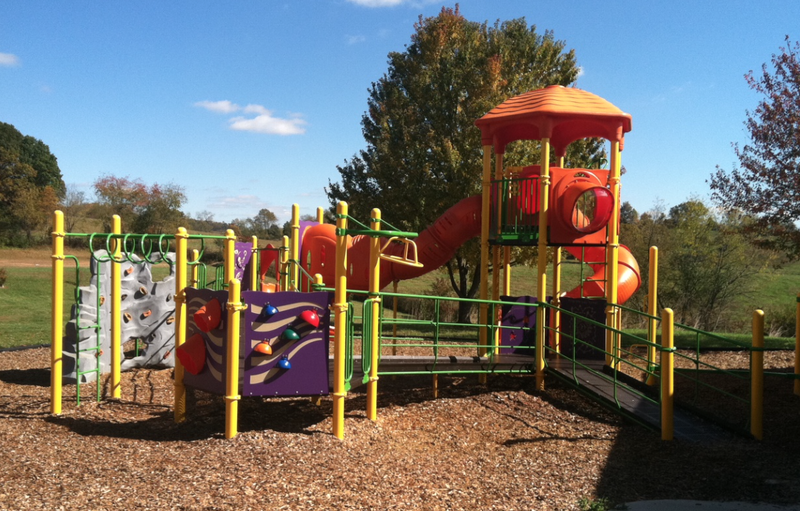 Please consider increasing recess for elementary school students. 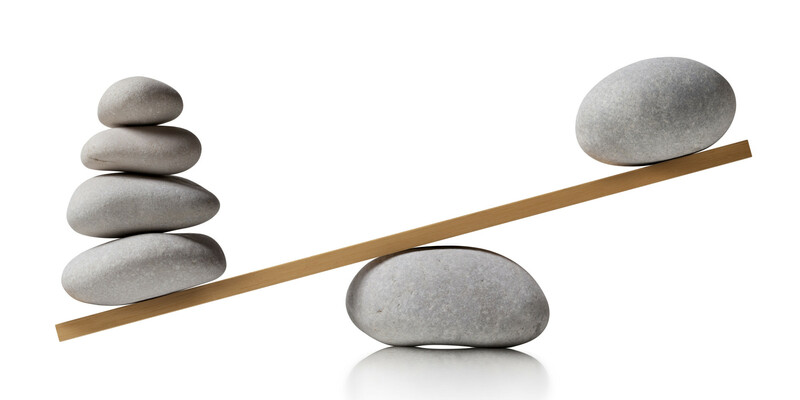 In my mind there is a balance, with which I am constantly trying to weigh unequal things against each other. Two weeks ago on one side was the horrible, senseless, preventable deaths of 10 students at Umpqua Community College–just a fraction of the gun violence in our country this year because we lack the courage or compassion or common sense to put an end to it. On the other side that night was a delicious meal of roasted pork and red potatoes that I had made in the crockpot for the first time. There is gratitude that I am joining new communities, like the covenant group I met with last night, which I am co-facilitating. The group is designed to help people get to know themselves and each other better, and I was stunned by the candor of the participants, and their willingness to listen with quiet empathy. And then there are the times when I feel excluded, wishing I fell more easily into circles or relationships where you always know you’re going to be genuinely welcomed, that you’re not intruding, where you know what treat they’d most like from the bakery, and you don’t hesitate to ask for help because you know it will be freely given. Of course there is the moment to moment dichotomy of colossal love for your children and awe at their development–Zeke just started to say “I love you” to us completely unprompted, and there’s pretty much nothing better than that. His language skills and vocabulary are thrilling. Tonight Zoe said we were going to have pancakes for dinner when she meant pizza, and Zeke said, “You were just joking!” He says please and thank you of his own accord and will eat anything you put in front of him. And then there are those moments when he hits us with a stick or a remote control or throws a plastic shovel across the playground at the boy who wouldn’t let him cross a line of acorns he was creating in the sand, or when he keeps running when I yell “Stop!” or melts, boneless, into the mulch, when I say it’s time to go. There is the leak under the kitchen sink that we have already had fixed several times. Right now there are layers of wet newspaper on top of rotted cardboard until I get around to calling a plumber. The cleaning supplies are clustered in a corner of the kitchen. There is the back panel of the dryer drum that needs to be replaced because a tablecloth accidentally included in the laundry melted onto it. But then again, the dryer still works in the meantime, and we have mountains of dirty clothes to keep testing it. We have endless clean water flowing from our faucet and a sink full of dishes on which we enjoyed good food. There is the sacred and the profane. The Syrian refugees and those who are welcoming them and providing sanctuary and those who are arresting them or turning away. There are delicate, cool fall days. There is sickness and depression and more than enough emotional and physical anguish to go around. There are weddings and new beginnings and the messiness and embrace of family. There is Zeke approaching Zoe at the end of an evening where everyone was dancing in celebration of a marriage, saying to her, “Zuzzy–dance?” and dancing so joyfully with his big sister. And she was so delighted to dance with him. There are mice in our house–again. Tonight while I was reading in the family chair I saw one emerge from under the sofa, look around, and dart back underneath. There is sleeplessness. There are naps. I have a lot of work to do and I am painfully behind in doing it, which is not really like me and uncomfortable and embarrassing. But I am thankful to have work and so happy that I’ve been working for myself, doing what I love, for 10 years now. I know I am lucky to have a vocation that I identified 33 years ago and I’ve been pursuing it every since. I have been struggling with this idea that I am always seeking equilibrium that is impossible to achieve. My head and my heart so often see-sawing up and down, so easily weighed down or lifted up. Yesterday, in the middle of watching Project Wild Thing, a fun yet serious British documentary about the dramatic causes and effects of today’s generation of kids spending so little time in nature, I decided to turn off the tv and take the kids to the park. Seriously. And not just the playground, but the woods. Yes, there’s a paved path, but there are also lots of trees and rocks and a large meandering creek that invites kids to explore it. Sure it was about to get dark, but I didn’t let that stop us. Zoe didn’t want to go, but I dragged her off the couch. After hearing what filmmaker David Bond had to say, building on what I learned from another stunning documentary–School’s Out: Lessons from a Forest Kindergarten, I felt a certain urgency to be outside with my family, especially after we’d been cooped up for a few days while it rained. But it wasn’t raining anymore, so we went. The path was covered with wet leaves that had fallen from dozens of different kinds of trees, none of which I could identify. 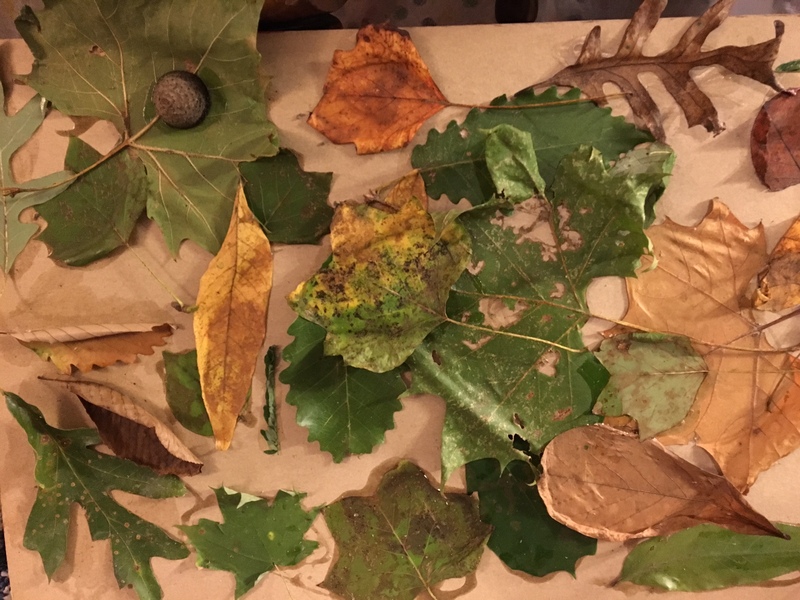 But I observed the diversity and my kids picked up some leaves to bring home. “We can do art!” I exclaimed, remembering how Zeke’s preschool teachers had the kids painting leaves last week. I am always the kind of mom who wants to do nature art but rarely the kind who makes it happen. I am more likely to get irritated when doing the laundry at the pieces of outside that wind up inside, stuffed into my kids’ pockets. Instead last night I was collecting the leaves in my pockets, trying to keep them smoothed out so we could make a collage with them later. As we walked, Zeke inevitably picked up and brandished sticks. He and Zoe threw some rocks into the creek. We reminded Zeke to throw small rocks, and not to throw them in the direction of Zoe. Eventually Zeke and Randy went back up to the path while Zoe and I ventured further into the creek. We were wearing our boots. I only just bought rain boots last week. I hadn’t owned any for decades. We climbed and maneuvered and squelched in the mud. Zoe pointed out a boulder that had a hole running through it and we took turns rolling a pebble though. Then she saw what she thought was a carving on another rock but then realized it was my wet boot print. I told Zoe it was gettin g dark and we needed to get back to the path, but she wanted, not surprisingly, to go a little deeper. She waded over to a tree that had fallen across the creek and hoisted herself up onto it and shimmied across to the upended root system and up onto the bank. I held out my arm to her, but she said, “No, I don’t want you to help me.” She wanted to challenge herself, as usual. In the midst of this activity, Zoe said, “you can’t be a Rosso if you don’t like adventure.” How great it is that she thinks that, I thought, even though I have never really thought of myself as adventurous, at least in the outdoors. In these nature documentaries people my age talk about how when they were growing up they were always playing outside. It was just a given. When I was growing up, my given was reading. I could read inside or out, but I was pretty much always reading. I played with my friends and I definitely went to the park, went roller skating, and rode bikes. But I also got teased for my lack of natural athletic ability and I didn’t like heat or bug bites. In fourth grade a classmate told me that I sweated too much. So I was kind of flattered that Zoe thought of our family as adventurous. I felt like I’d earned an adventure badge in mom scouts. In fact, Project Wild Thing‘s David Bond said this generation of children is the first to have a lower life expectancy than their parents, which he (and presumably scientists he cites) attribute to a more sedentary lifestyle. People in hospitals heal faster when they can look out the window at nature, he said. I’ve been working on the article, although I still haven’t found someone to publish it yet, but the process has been inspiring. Even just hearing about what goes on in the woods on Timber Tuesdays and Forest Fridays has inspired me to be more patient, and even more encouraging, when my kids want to splash in puddles or dig in mud or collect acorns or climb rocks. And it makes me want to do those things too. Maybe not so much the mud, but definitely the other ones. When we got home from the park, by which point it was completely dark, I found a piece of cardboard and two bottles of glue. I made Zoe promise that she would let Zeke glue the leaves the way he wanted to, even if it conflicted with her artistic vision. She agreed and they collaborated beautifully. Glue was everywhere, but that’s ok. I still don’t know what kind of leaves we found, but that’s ok too. That’s an activity for another time. As is watching the rest of the film, which I am eager to do. Right now, I’m just glad we squeezed some time outside into our day. My friend Kevin kindly identified most of the leaves we found!